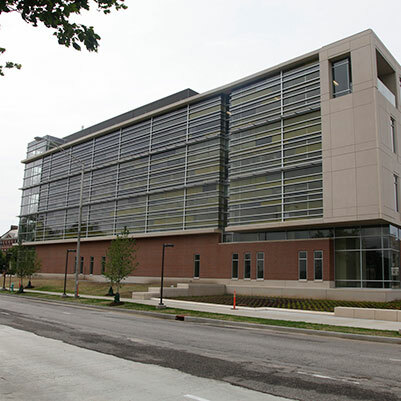 This structure is located at the corner of West Drive and Michigan Avenue on the IUPUI campus. The facility is designed to provide 50 percent of its space for clinical needs and 50 percent for research needs. It accommodates areas for patient exams and treatments, basic research, clinical research, teaching, and administrative/support functions necessary to serve these programs.